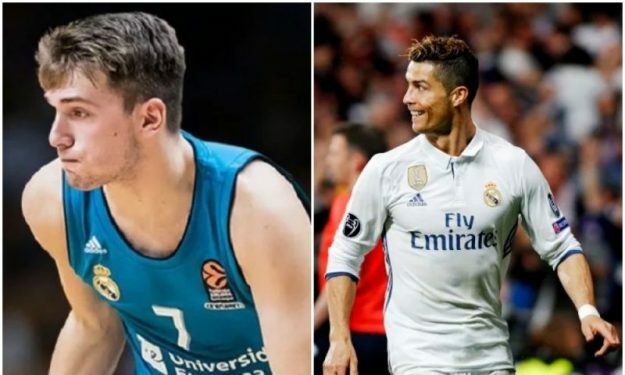 Luka Doncic believes Real Madrid fans miss Cristiano Ronaldo more than they miss himself. In his first nine NBA games, Luka Doncic has been impressive for the Dallas Mavericks and has shown why he is NBA ready. As it was adapted by ‘AS.com‘, in a recent press conference, the 19-year old sensation talked about Cristiano Ronaldo, the city of Madrid, facing LeBron James and his transition to the NBA. Last week, Doncic faced off against his childhood idol, LeBron James, and also got a signed jersey from him after the game: “It was something wonderful and very special for me. He is my idol. It will be a day that I remember forever,” he stated. Furthermore, Luka has also been compared with arguably the greatest basketball player of all time, Michael Jordan as their numbers in their first ten games are similar: “He’s the best player to ever play the game of basketball, so I do not think that I can compare myself to him. He had an excellent career, he was the best,” said Doncic, remaining humble.